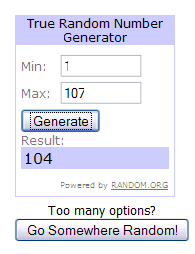 Congratulations to random number 104 and blogger known as Saponify. You’ve just won the Color with Confidence Contest (applause). The winning comment: Oxides, Oxides, Oxides!!!!! I love my oxides. 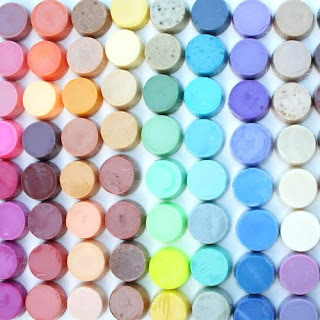 Micas and some ultramarines and labcolors can rock my cold-process soap socks, too. I had the best coloring experience a short while ago when I was able to get a 6 color marbly-swirl going on with my oxides and labcolors. Pickmepickmepickme!!! Wow! The six color marbly-swirl sounds amazing. Swirling cold process is not an easy task, let alone SIX swirls! Email me at info(at)brambleberry(dot)com and we’ll send you the Color with Confidence PDF Prize (retail value of $39.00). Enjoy and good luck with your swirls! If you want your own copy of Lori’s definitive work on colorants, you can get your own copy here. Or, better yet, check out our new Color with Confidence Starter Kit– For just 49.99 you get the E-Book AND Lori Nova’s top 10 colorants to experiment with!How can you resist?Happy Coloring! Corgrats Saponify, what an awesome prize to win! Oh lucky YOU! What a great treat! Invite us all over to your blog to view your fanstastic results! WOW! Anyone who can do a 6 color swirl deserves to win. I've never tried more than 3. Yay, well done Saponify! Yay!!! I missed out by 1 but I'm excited for you!! Sounds like you're a worthy winner!